The skipper should have previous skippering experience aboard yachts of a similar size to that being chartered. He/she must hold an RYA Day or Coastal Skipper qualification or an international equivalent such as the ICC qualification. In addition, at least one other crew member should be a competent sailboat sailor, who ideally has sailed with you before. Turkish Authorities require that every skipper must hold an approved skipper licence in order to charter in Turkey. The Harbour Master will not issue a transit log without seeing a copy of the skipper licence. In all cases original certificates should be taken with you. If you have any concerns regarding the suitability of a particular yacht or cruising area, please contact us. For Motor yacht charter you will need at least 2 years experience of handling a motor yacht. You should have a minimum qualification of RYA ICC for Bareboat Charter. At least one member of your crew should also have experience of basic deck work on board a yacht charter. No experience is required if you take the skippered charter option. Please remember that sleeping accommodation will be required for the skipper. No Experience? Then try one of our skippered packages. By using the services of one of our qualified professional skippers you can just sit back and relax. Whilst your yacht charter skipper will ensure you visit all the best harbours and anchorages. On charter you can participate as much or as little as you choose. Another option is Skippered Instruction. Let our professional skipper show you the art of sailboat sailing at your own pace without the pressure of trying to achieve a qualification. 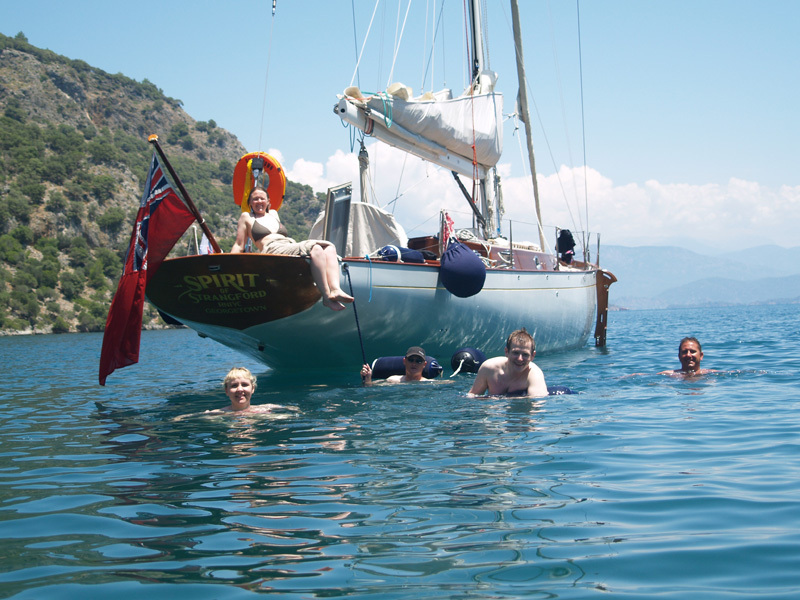 This will allow you and your crew the opportunity to learn to sail whilst enjoying a stress free holiday. Please note that if a skipper has to be provided aboard a yacht due to either misrepresentation by the signatory on the booking form, or in the opinion of Sail in Turkey personnel, it is necessary to ensure the safety of the yacht and its crew, the cost of the skipper’s services will be at the client’s expense. We cannot accept responsibility for any loss suffered by you or a third party as a result of insurers failing to indemnify due to incorrect or misleading details being supplied on the booking form.